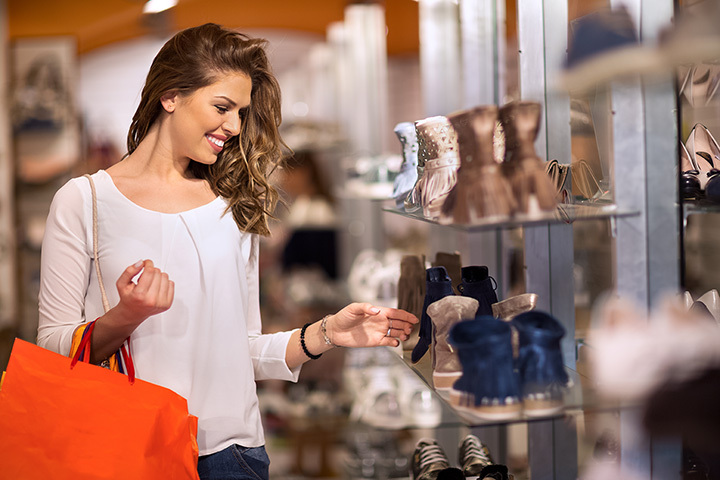 Whether you’re seeking a new pair of running shoes or a pair of sparkly wedges for an upcoming event, Connecticut’s locally-owned shoe stores will have what you’re looking for. Pair the excellent stock with welcoming and knowledgeable staff, and you’ve got a match made in heaven. These nine, locally-owned shoe stores in Connecticut have your feet covered. Arciuolo’s is a family-owned and operated shoe store, where the owner is a board certified pedorthist, ensuring that all customers can find comfortable shoes fitted to their feet. If you happen to be shopping with kids in tow, Arciuolo’s has definitely taken parents into consideration as they have a small indoor playground as well as a saltwater aquarium, so kids are entertained while parents get the chance to shop. Their stock includes a full range of Asics, Clarks, Keen, Sperry Top-Sider, and more. Lily is a chic boutique that is inspired by the markets on Portobello Road in London. To that end, the store focuses on selling attractive shoes and accessories that are practical and stylish. Lily carries brands such as Frye, Sam Edelman, and Schutz. The store is very bright and welcoming, with comfortable seating for customers to relax on while trying on shoes. FootPrints is a massive locally-owned shoe store with a stock exceeding 100,000 pairs. With such a massive stock, they carry men’s, women’s, and children’s shoes as well as sports and orthopedic shoes. In addition to name brands, such as Minnetonka, Merrell, Clarks, and Uggs, they also carry unusual brands such as Bueno Footwear, which is a small brand of shoes that are handmade in Turkey, making FootPrints an excellent store for supporting designers. If you are looking for a new pair of sports shoes, Fleet Feet is a locally-owned store that specialized in sneakers. The entire staff is really involved in running and sports wellness, and are armed with running tips, information about local races, and even suggestions for local sports medicine clinics. The store also offers specialty shoe fittings, where the experienced staff measure your feet, watch how you walk, and help you find appropriate shoes for your activity level. Open since 1995, Connecticut Boot & Shoe originally focused on shoe repair and fitting. Over its more than 20 years of business, Connecticut Booth & Shoe has expanded to sell brands such as Ariat, Danner, Double H, Throrogood, and Worx. In addition, the staff can perform general shoe repair, shoe stretching, heel lifts, and other services. Another locally-owned running store, Woodbridge Running Company is staffed by a group of runners who aim to help you find the right shoe for your lifestyle. Shoe brands stocked at Woodbridge Running Company include Adidas, Asics, Hoka, New Balance, and Nike. They also carry minimalist shoes and can teach you how to properly transition to running in these shoes. Clinton Bootery is one of the Connecticut shoreline’s favorite shoe stores due to its excellent range of shoe brands and knowledgeable staff including the owner who is a certified pedorthist. In store, you’ll find brands such as Birkenstock, Keen, Dansko, Merrel, Rockport, Teva, and more. The Clinton Bootery also stocks orthotics to ensure that your shoe has have the perfect fit. For safe work shoes certified by ANSI, head to R.E.M in Groton, which stocks Red Wing, Worx, and Irish Setter. These brands are safe and comfortable for those working in industries where feet could be injured by heavy items or chemical spills. In addition to work shoes, R.E.M. also carries a selection of Carhartt and Minnetonka shoes as well as boots for hunting or motorcycle riding. Flirt is a high-end fashion boutique with a rotating stock of designers. In addition to women’s fashion, Flirt also carries an excellent range of shoes including Corso Como and Isola. Stop in to purchase an entire outfit—with shoes and accessories—for an upcoming event.